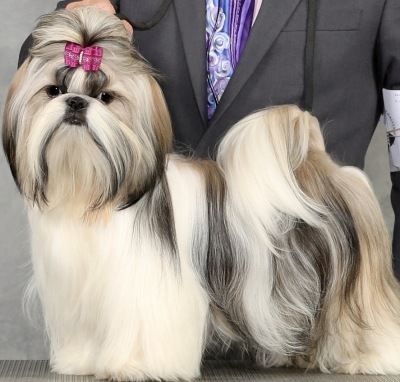 Chance earned three majors and BEST OF WINNERS and his AKC Championship very quickly. 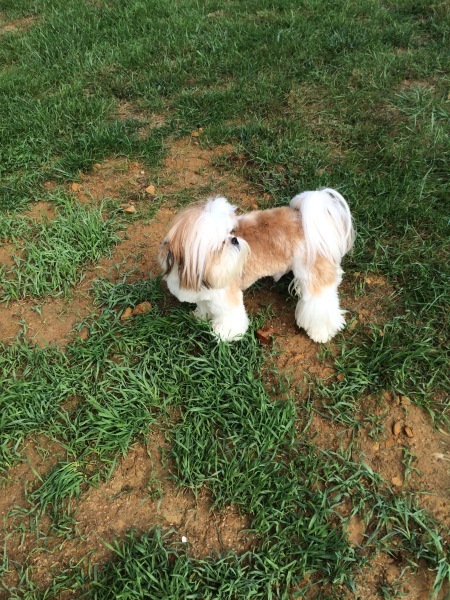 A 15-pound gold and white male, with the heart and eyes of an angel. His incredibly heavy coat and large round head makes him our big baby Teddy Bear. Chrissy is a beautiful gold and mahogany girl. 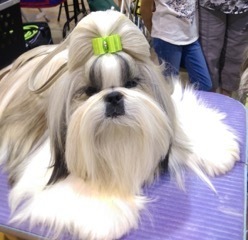 She has recently finished her AKC Championship. She is all about playing and is great at agility too. She loves meeting new people and is always happy. She had her first litterSummer 2017 and her pups are beautiful! well known champions from Italy. 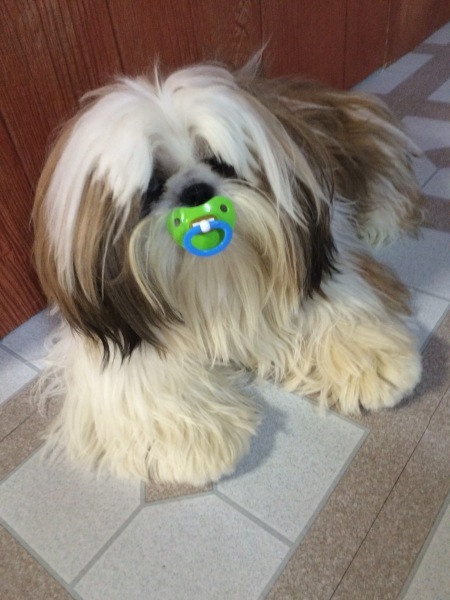 We strive to be reputable breeders and choose to be sure your puppy is a perfect fit for your family. 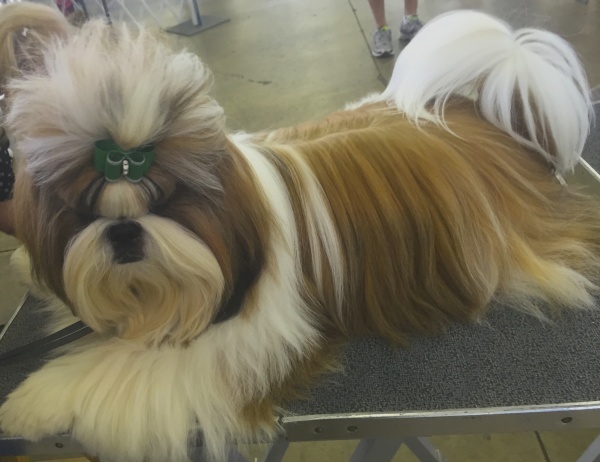 We are dedicated to the welfare and betterment of the attributes of the Shih Tzu’s breed as outlined by the American Kennel Club (AKC). 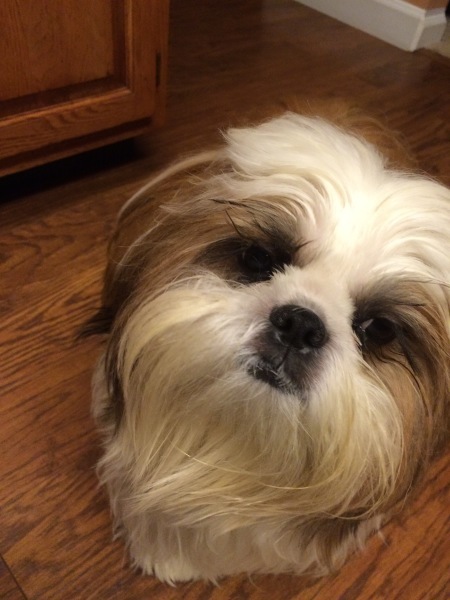 If the Shih Tzu breed is new to you, we recommend you do some research on how it might fit into your lifestyle and your family. 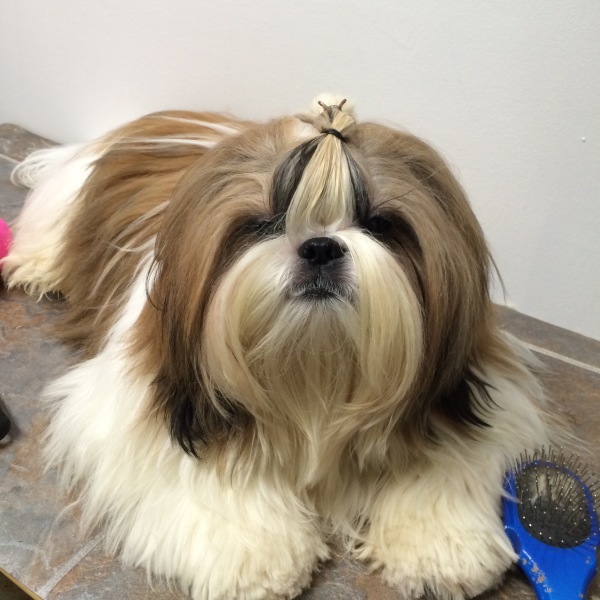 We are a conscientious breeder and are aware of the common health problems afflicting the Shih Tzu breed. We will always be available should you have questions or concerns of your new puppy.